My first visit to an Orthodox church was in June 1968, when Archbishop Nikon brought the miraculous Kursk Icon of the Mother of God to London. I had no idea that this would be a special occasion in the life of the parish; I had found the address in the telephone book and, one Sunday, set off for Emperor’s Gate. Entering the church took a certain amount of resolve. One seemed to approach it in stages: past the polished brass nameplate which proclaimed “Russian Orthodox Church in Exile” and into the porch; then up the steps and onto a landing, from which one could look through a wood and glass screen into the church itself; finally through another door, past the candle desk, and one could stand at the back of the congregation. From there, looking further into the church, the rows of icons, the steps up to the ambo and the iconostasis seemed to lead on, again in stages, to the altar and the Holy Throne of God. I was struck by the awesome majesty of the Divine Service, conducted by two bishops and many clergymen. Like many visitors, I was particularly struck by the rite of the entrance with the Gospel Book, when the senior bishop, standing in the middle of the church, blesses the people with the dikyrion and trikyrion – the two and three-branched candlesticks symbolizing, respectively, the two natures of Christ and the Holy Trinity – while at the same time the clergy chant “O come let us worship and fall down before Christ…” and then, as the clergy move towards the altar, the choir thunders forth the same hymn of praise, and when it is finished, we hear that the clergy are still maintaining their own chant as the bishop mounts the altar steps, blesses the people a final time and then enters the altar. 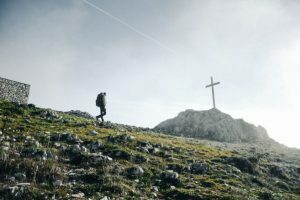 The symbolism of this moment in the service, as I later learned, is of the Theophany – the coming of Christ, the God-Man, into the world, and the beginning of His preaching ministry. What struck me in particular was that this elaborate and complicated rite, obviously full of symbolic meaning, was carried out quite simply and naturally; it did not appear stage-managed, there was no attempt to put on a show; it was simply the manifestation of a different life, of a different world. So the service continued endlessly until at last the clergy all returned to the centre of the church for the moleben – the intercession before the miraculous icon. This icon was clearly treated as something very special, as all through the service people were lining up to venerate it and light candles before it, while some were passing candles forward for others to light. Of course, I did not make the sign of the Cross or light a candle or venerate the holy icon, as, after all, I did not belong there. 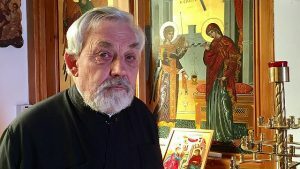 Then someone came up to me and said that I really should kiss the holy icon because it was miraculous; it had been discovered by the root of a tree in the thirteenth century and had caused many healings. Hearing someone talking in a simple, believing way about the miraculous, without the usual admixture of modern scepticism, was a completely new experience. 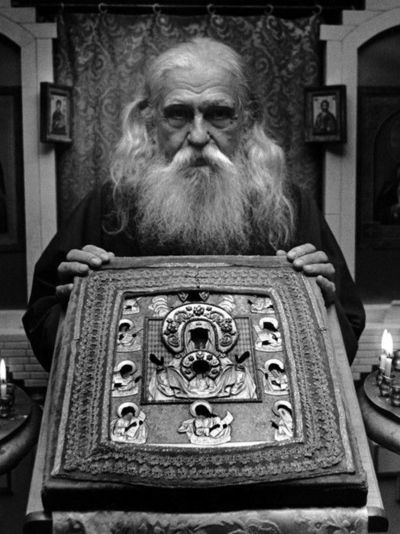 Eventually, when the service was over, Father Boris Kritsky, the guardian of the Kursk Icon, put the holy image in its special carrying case and, as he carried it out of the church, I was persuaded to venerate it in the case. I remember vividly the sense of mental dislocation which I felt as I left the church, with my head full of all that I had seen and heard, to find myself, not in Holy Russia, but back in Kensington, London. Everything was just the same as normal, and as I waited for the Underground train at Gloucester Road station, people were reading the Sunday newspapers as usual, and I wanted to tell them that I had just been in another world, but of course kept my feelings to myself in the proper English manner. 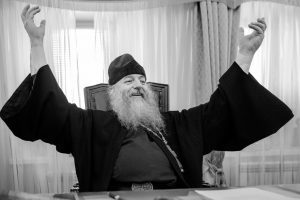 In the autumn of that year, as I began attending the services regularly at Emperor’s Gate, I gained a stronger and deeper impression of the sanctity of the Divine Worship, especially as celebrated by the venerable hierarch Archbishop Nikodim. It was some time before I began to notice the material poverty of the church. The candles used to impart the episcopal blessings inevitably dripped and left stains on the worn carpets; some of the vestments were threadbare, part of the congregation was aging, and I learned that they did not even own the building, but held it on a twenty-year lease. Still, the overwhelming impression was one of holiness. 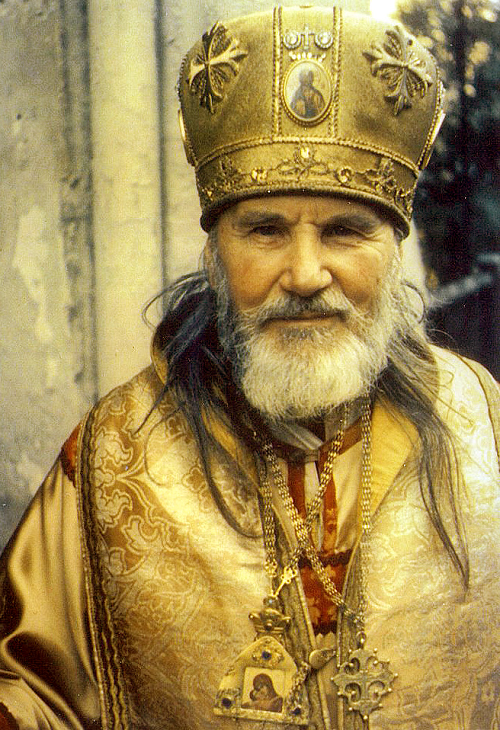 Count Kleinmichel, the churchwarden, had books for sale at the candle desk, and here I bought my first lives of saints – the life of Saint Seraphim of Sarov, as well as his “conversation” with Motovilov. 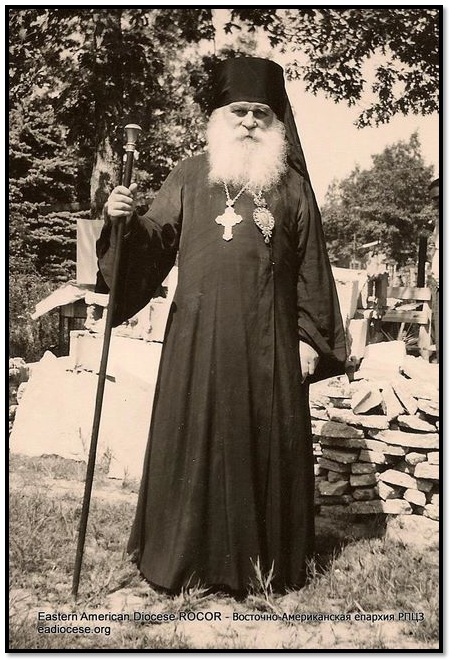 As I continued my study of Holy Orthodoxy, I became increasingly convinced that it represented a tangible, absolute value, with a genuine spiritual integrity not to be found elsewhere in the modern world. At the same time I became convinced that it was not something that could be understood all at once. The different stages by which one entered the church building and could then approach the holy altar itself seemed symbolic of the stages by which one could gradually fathom some of the mysteries of the Orthodox Church: the meaning of the services, and of the different cycles of feast days and fast periods; the Slavonic language in which the services were conducted, which sounded so majestic, and which I longed to understand; the teachings of the Holy Fathers about the spiritual life and the path leading to the Kingdom of Heaven. Originally printed in The Anchor, April 1989.